Tastefully updated one story beauty. Beautiful mahogany front door. 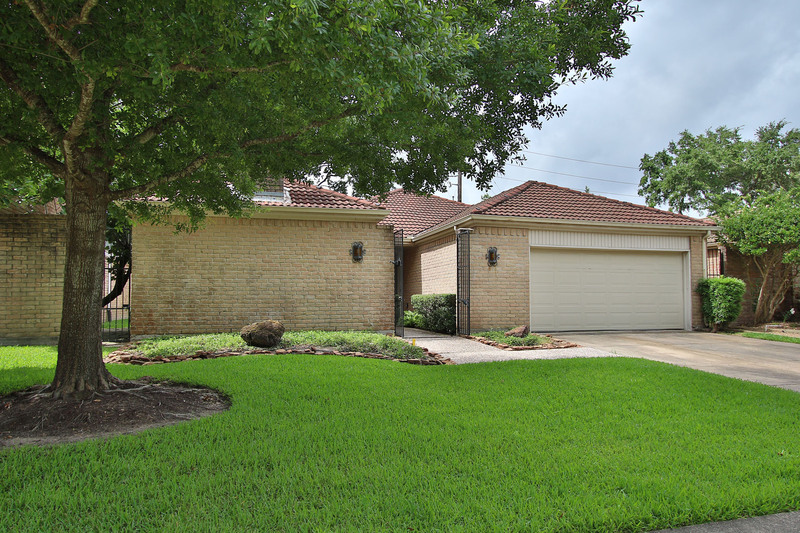 Wood tile flooring throughout family/dining and spacious updated kitchen with granite and subway tile backsplash – wait till you see the butler’s pantry! Huge family room with wall of windows leads to shady backyard retreat with covered patio. Retreat to your spacious master with two walk in closets and it’s own private back patio. Completely updated master bathroom. Walking distance to Hershey Park, energy corridor shops and restaurants.